At Metro Nissan of Montclair our skilled Nissan technicians are here to provide exceptional service and diganostic solutions for you and your vehicle. We know how difficult it can be to have a vehicle that is having issues starting and no matter if its the timing belt or just a simple battery replacement we have the knowledge and knowhow to get your vehicle back on the road. If your car needs an oil change then don't delay, motor oil is the life blood of your vehicle and its important to keep regular scheduled maintenance. If your vehicle needs an oil change you may experience louder engine noise or knocking, the check engine light may be on and your exhaust could be smoky. Whatever you do do not put off getting an oil change other wise you could end up with dark and dirty oil. Contact Metro Nissan of Montclair service department to schedule a technician to look at your vehicle. When you take your vehicle into our Nissan dealership you'll have peace of mind knowing that your vehicle is in great hands. 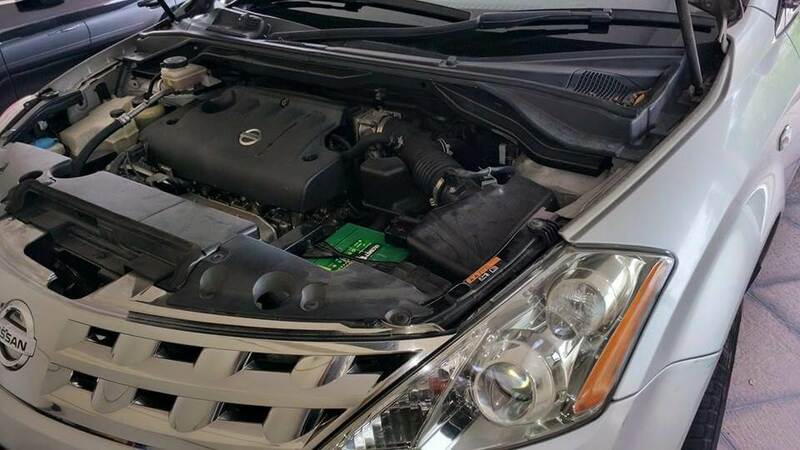 Our technicians have changed the oil in a variety of Nissan vehicles.